I had no idea. How embarrassing — drinkboston.com had never heard of a Boston Sidecar. I found the recipe in the Old Mr. Boston De Luxe Official Bartender’s Guide (1961 edition) I received for Christmas: 3/4 oz brandy, 3/4 oz rum, 3/4 oz triple sec, and the juice of half a lime shaken on ice and strained. But I didn’t know why it was called the Boston Sidecar. I asked around, but none of my bartender pals had any answers about the drink’s origins. I was only able to tell Goran that the Boston shaker likely had nothing to do with the drink’s name, since most cocktails are mixed in this apparatus. I noticed that Goran asked the same question on squidoo.com but didn’t get an answer there either. Of course, it being the Old Mr. Boston guide, that book has recipes for the Boston Collins and the Boston Sour, but those appear to be simply variations on the Rum Collins and the Whiskey Sour. 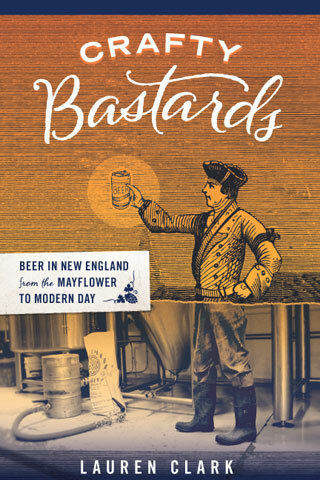 I’ll do some cross-referencing and start a page of Boston cocktails whose recipes come from more than one source. In the meantime, if anyone knows how the Boston Sidecar, or the Boston Cocktail for the matter, got its name, chime in under Comments, will you? Ask Anthony Julio who writes the Liquids column for Boston Mag. He knows about the “boston” in the Sidecar. Better late than never with a reply, right? The “Boston” refers to the use of rum and limes. 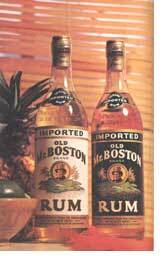 Boston had a huge trade in molasses and rum with the Caribbean back in the day. You’ve heard of the great molasses flood in the north end, right? That tank was owned by the Purity Distilling Company. Yes, I’m aware of the Boston-area rum trade of yore. But I’ve never heard that “Boston” refers to the use of rum and limes. (There are several cocktails with “Boston” in their name that have neither rum nor lime, and there are obviously lots and lots of cocktails, with many different names, that have rum and lime.) I’m curious: where did you hear/read this piece of cocktail lore? I’d love to look further into it. You almost answered your own question! Mr Boston is a brand of rum imported into the States from the Virgin Islands – hence by adding Mr Boston rum to the original Sidecar recipe, it became the Boston Sidecar.